Jack London Square: When Miss Pearl's Jam Houseopened last month, its arrival marked the beginning of Jack London Square's restaurant upheaval, and the Business Times puts together a nice summary—with some newcomers—on the next wave of Oakland waterfront newcomers. We've mentioned the Mietteproject and the massive, Pike Place-esque marketplace, but there's more. A lot more: the developers are projecting 15 new restaurants to open there in the next two years. Only three have officially signed on so far; in addition to the two aforementioned, the BizTimes reveals that MarketBar's Rich Hackett will open the 6500-square-foot "Pan-American grill" Bocanova next summer. Also, Roland Passot's ubiquitous brasserie chain Left Bank is rumored to be considering a new location on the Oakland waterfront while chains like Tony Roma's and Friday's will continue to be pushed out for more upscale tenants. Not everyone is enamored of the project, believing the upscale ambitions for Jack London Square are out of step with the neighborhood and wonder if the project will ever see enough traffic to feed 15 restaurant bottom lines. It's a very salient point, but then again, Joie de Vivre overlord Chip Conley says that there's more than enough room for growth, especially seeing as how he anticipates Miss Pearl's will be his only property to generate more revenue from food and beverage sales than from room nights. 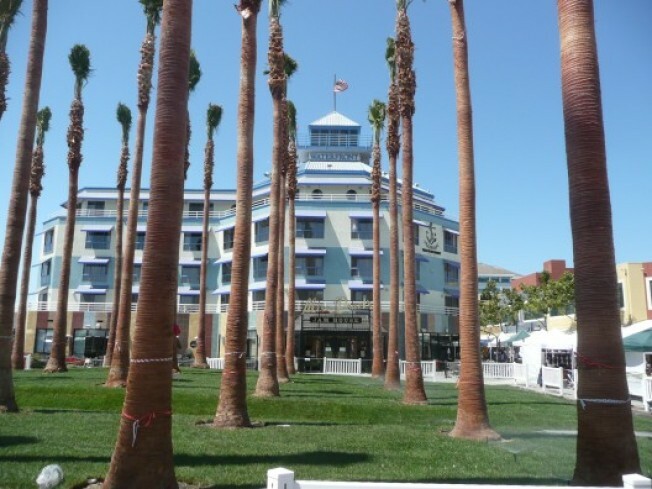 Either way, the evolution of Jack London Square should be a fun one to watch unfold.